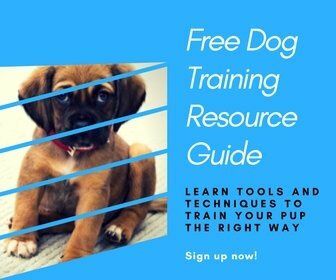 There are some secrets when it comes to house training a puppy, but much of the responsibility ultimately falls to you. Think of this way: when our (human) babies need to go, THEY GO, and our puppies are no different. When they need to go, you’d better believe they’re going to go! To correct the problem you first need to start by showing them where the ‘correct’ place is for them to go potty. The best way I’ve found to do this is simple: when you see that they need to go, take them outside and HEAP praise on them on when they go. You are going to be amazed when you see how quickly they learn once they learn that there’s a big treat coming when they go in the right spot. When your puppy is very young (let’s say about 8 weeks or so), their bladder is very small and they are only capable of holding it for around 30 minutes. So it will take time, and there will need to be many trips, but the work will be worth it. But right after eating, that time will be much shorter. I’d bring them straight outside immediately, and honestly anything past a minute and you may already be too late. You should also be sure to take them out the very FIRST thing in the morning and the very LAST thing at night before bed. They’re both crucial but you really want to get them outside fast in the mornings because their little bowels will be working overdrive as soon as they wake up. It’s also important that you and any other caretakers in the home have a chosen word that means ‘take the puppy outside to go the bathroom.’ For most of us, “go potty” will work great. Just be consistent so your puppy will know immediately what that means when they hear it. If you take your puppy outside to go potty and they just aren’t going, bring them back inside but keep them to a small, restricted area that’s easily cleaned. Keep them there until they have been outside and successfully gone to the bathroom. One final thing: do NOT rub your puppy’s nose in it to teach them a lesson. Your puppy’s nose is 1000 times more sensitive than a human’s. This will not teach them to never do it again, this will only teach them to find a more hidden spot next time (like behind the couch or in your shoes). If you’re still not grasping things, don’t worry because you are not alone! It’s easier for most people to learn these things by watching video rather than reading. I’m a big fan of the series from The Online Dog Trainer. Go take a look and you’ll learn everything you need to know!